The Georgia State women’s track team is off to a solid start on the season winning two of their meets. The individual performances have been very good. LaPorsha Wells has set both personal and school record of 20.64m in the weight throw this season. Alysiah Whittaker set a new meet record for the shot with a throw of 18.57m. The 4X400 team has finished as second in a meet as well. Those are the individual performances that stand out, but overall the team has been good at the start and they look to carry that momentum as they really get the season started. The Panthers will now travel to Birmingham, Ala. for the South Alabama Jaguar Invite on Feb. 5. 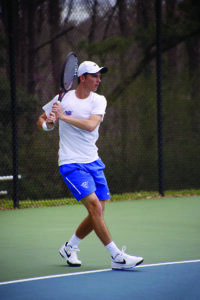 Georgia State fell 4-0 to the Demon Deacons in the ITA Kickoff Weekend championship match. The loss brought the Panthers to a 4-2 spring season record as Wake Forest improved to 5-0. Senior Zack Kennedy fell in the No. 1 match against No. 1 Petros Chrysochos 6-0, 6-0. Georgia State reached the championship match after defeating Auburn 4-2. The Panthers defeated the Tigers in both completed doubles matches. Junior Sebastian Acuna and Kennedy also won their matches in singles play. Georgia State returns to Atlanta to face off against Georgia Tech on Feb. 3. Looking to start the new year with high optimism, the Georgia State women’s tennis team, instead, find themselves with a record of 0-2 to jumpstart the 2017 season. The Panthers suffered their two losses to UL Monroe and Auburn. 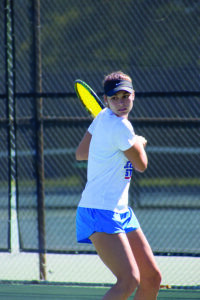 While the Panthers did not accomplish much through their first two matches, sophomore Daniela Ramirez was the only Panther to secure a singles victory. Other players who earned wins include Anastasia Grosheva, Tarani Kamoe and Taluyenko; They won their victories in doubles play. Taluyenko’s singles victory against UL Monroe Saturday was the only victory secured by the Panthers in singles play. Taluyenko defeated Madalina Grigoriu 7-5, 6-2.